Best LED Headlights Kits and Bulbs - Our 2017 Results Are In! You rarely think about your headlights. During the day they are off, during the night you merely expect them to pop on without question. Most people will only give them much thought when they fail to come on as expected or if they seem dim on a poorly lit road. This is a mistake, as at this point there is not much else that can be done about your lights. However, with a little thought, you can find the best LED headlights and be ready for the night. You’ll find that if you spend the time tracking down the best led headlight conversion kit you can easily swap out your standard lights for another option that can last longer and provide you more light. 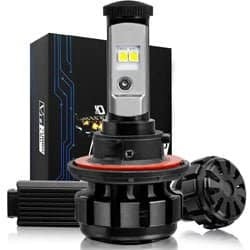 Over the course of this article, we’ll find the best led bulbs for cars in addition to the going over the important points that you need to know to help you pick from the best of the best. Today on Garage Chief, we’ll cover both the installation but also take a look at what you need to do in order to keep your new headlights in top working order. So without further delay, let’s take a look at some of the best led headlight conversion kits. …and best LED headlight bulbs. If you are going to switch to using LED headlights the first thing that you will need to find is the best LED headlight conversion kit. These kits will give you everything that you need to get started. Later in the article, we cover the components that are normally included in the kit. 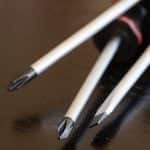 Today’s kits are all plug and play, gone are the days of having to solder together your connection wires or needing to find your own connectors. Most of these can allow you to swap out your headlights for LEDs in about 20 minutes, but that will depend on your particular car and the kit you select. 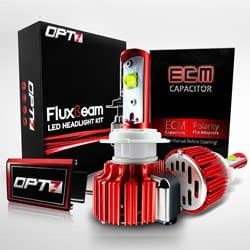 We’ll start off on a high note, the OPT7 Fluxbeam Headlight kit. This standout is the best LED headlight kit that we’ve come across. One of the most important things that you are sure to love is that they understand that brightness isn’t the great concern of the driver. While a bulb can be amazingly bright, if it is not directed properly you end up with dark spots and a blur of light. To accomplish this they use CREE MK-R LEDs that use Arc-beam technology. The company claims that this is the only headlight that uses that particular LED. These bulbs come with a 2-year warranty but are designed to have a lifespan of 50,000 hours. As for color, they are set at 6000K to give you that daylight look. These bulbs have moved away from the heat sink found on many LED headlights in favor of a fan. This one moves at 7,000 RPM to move 5 CFM to keep the base of the bulb cool without having something sticking out in the engine compartment that will heat up. If you are looking for a fantastic bulb that makes beam pattern a priority, this is the way to go. Sometimes you want great value, but your budget is somewhat limited. If that is the case and you are looking for a LED headlight kit, look no further than the Auxbeam LED Headlight F-16 Series Headlight Conversion Kit. This set features a pair of headlights each that 2 CREE LED chips. This results in the pair putting off 6000lm of light with 3000lm coming from each bulb. The result is a pair of headlights that remain remarkably bright while still not being so bright as to blind oncoming traffic. This kit gives you bulbs that provide light at that sweet spot of 6000K and claim that they have a great beam pattern, leaving no dark spots in the view area. They do feature a standard heat sink on the back of the bulb, but it doesn’t extend overly far into the engine bay, so shouldn’t be too much of an issue. 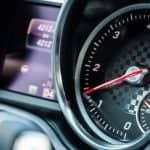 The company does note that the control setup they are using may not work with all vehicles but encourages you to contact them if that is the case for your car. One of the most impressive points is that they state these bulbs are DOT certified. With all this packed into about $50, you can see why this is our best value product. The Kensun Car LED Headlight Bulbs Conversion Kit is a kit that comes from a company that puts a focus on consumer service. The bulbs provided utilize Cree chips to provide their light, with each bulb pulling 30 watts and producing 3000lm. These bulbs should give you a 500 m range and have a lifespan of about 30,000 hours. The company states that this set up requires no additional ballasts or extra wires. These bulbs feature a cooling chip and a fan in the base to keep the everything running cool for maximum lifespan. These lights give you quite a bit of choice. The bulb itself is produced 6000K daylight. However, the kit comes with a number of sleeves that give you more options in light colors. There is a yellow sleeve that will result in a light coming out at 3000K which is great for fog lights. The other option is a blue sleeve that produces light at 8000K giving you a blueish light. 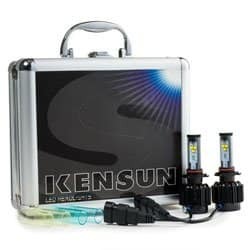 Going with lights from a company like Kensun makes sense as they have a very robust customer service department so that if something goes wrong or your light dies early they will work with you to fix the problem. 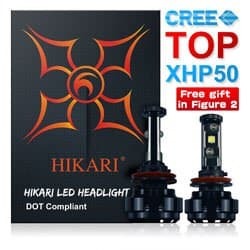 The next LED headlight Conversion Kit comes from Hikari and is there LED Headlight Bulbs Conversion Kit. This kit uses the CREE XHP50 chip that the company claims are the best on the market. It produces 4,800lm per bulb for an astounding 9,600lm total, making it one of the brightest bulbs you’ll find on our list. And those bulbs come in at the fairly standard 6,000K for a good amount of white light. They feature plug and play installation to get you up and running as quickly as possible. These bulbs feature a heat sink and a turbo fan in their base to dissipate heat quickly and efficiently. The fans run rather quietly and you will only notice them if you are specifically looking for the sound that they make. These bulbs also sport a 2-year warranty to give you piece of mind that your bulbs will give you quite the lifespan. To add to that, these have been DOT approved for use. 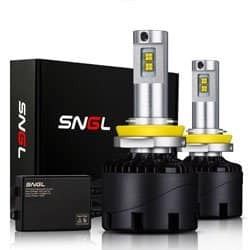 If you are looking for the brightest of the LED headlight kits that we have come across on the market, take a look at the SNGL Super Bright LED Headlight Conversion Kit. They give you quite a few choices, if you want bulbs at 6000K you can opt for a 55 watt or a 40-watt option. If you would prefer to have your bulbs at 5000K you will only have the 55-watt choice, but still, it is an option that is not present in most kits that are on the market. These bulbs sport a combined brightness of 12,400lm giving you more than enough light to get down the road and through the dark safely. The bulbs are built to last for over 50,000 hours and with the cooling system and fan built as robustly as they are these bulbs are made to last in the toughest conditions that you can throw at them. 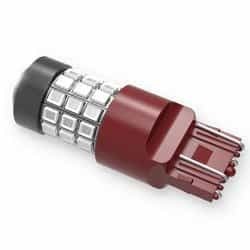 The chip positioning and layout of the bulb are designed to make the maximum effect of your current headlight housing and reflectors to get as much light on the road as possible. One downside to this set up though is that these lights are not designed to be used with a daytime running light set up. Lastly, we have the Nineo LED Headlight Bulb Cool White Conversion Kit. This kit pulls 80 watts and with that produces 7,200lm of total light, that’s 3,600lm per bulb. That light is coming off at 6000K as far as color giving you that fairly standard white light that most LED bulbs end up going with. 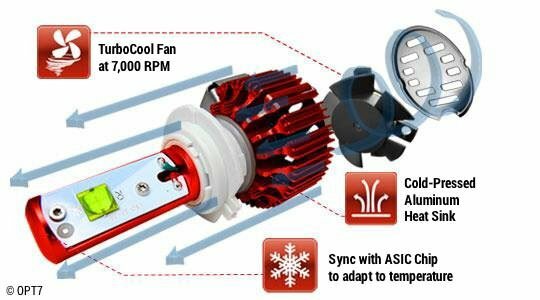 The heat sink has a fan that runs at a stunning 7,000 revolutions per minute to keep the base of the bulb and the wiring there cool to run efficiently while you are driving. The system is designed to work for a long time, the company claims that these bulbs should give you 50,000 hours of service before needing to be replaced. 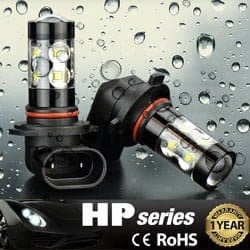 And to stand by their product they are willing to go above and beyond the 2-year warranty that most companies offer with their LED bulbs, but they offer a 3-year warranty to give you piece of mind that these will last in your car. The company also offers lifetime support, so even if you aren’t covered by the warranty they will help you work on solving any problems that come up with their products. Of course, headlight kits aren’t the only bulbs in your car. And the companies that make LED bulbs have that in mind. We have dug through some of the various other bulbs so that in addition to your headlights you can have your ride illuminated by LED for the interior, daytime running lights, fog lights, reverse lights and more. We’ll take a look at each of these in detail. Often times for these setups the most difficult part of the install is taking the old bulb out, you’ll want to check on how to accomplish that for your specific car. 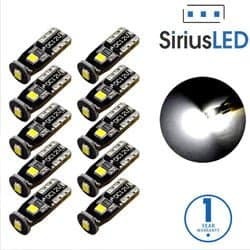 If you are looking for the all around best LED bulbs for your car then look no further than the SiriusLEDExtremely Bright 3030 Chipset LED Bulbs. This comes as a 10 pack of bulbs that you can easily swap into any number of locations in your vehicle. They can take the place of a number of bulbs, including the T10, 147, 152, 158, 159, 161, 168, 175, 184, 192, 193, and 194 bulbs. This means that they can be used everywhere from your dome light to your license plate light and any number of places in between. The lights can double the output of a standard halogen bulb while using only a fraction of the power. That brightness level means that these are the best LED interior light bulbs that you are going to be able to track down for your ride. Their plug and play installation will give you an easy time swapping them in, but be warned, due to the low power draw some newer cars may give you an error message claiming that the light has been burnt out. If you have found yourself backing up on a moonless night in an area that is devoid of street lamps you will know just how little light standard reverse lights work. These are lights that most of the time we don’t think of or take for granted, but when you need them it would be great if they were nice and bright. We found the best LED reverse light bulbs and they are the JDM ASTAR 800 Lumens Extremely Bright 912 PX Chipsets LED Bulbs. These bulbs are set up to put off a bright white light (6000K) to illuminate the area that you are backing up to. Gone are the days that you wished for more light while backing up. This set comes with two lights to cover the standard two reverse lights that you’ll be replacing. They also come with a one year warranty to give you piece of mind that these bulbs will keep going for you. Another trick that they have up their sleeve is that they have an “error free” capability. The bulbs have a built in a load resistor to simulate the higher draw of more conventional lights, this will stop your car from kicking out error messages about bulbs being burnt out while they are working fine. One of the things you will quickly find when looking for LED headlight sets is that most are not set up to work as daytime running lights. This can be a bit frustrating, since having them can be quite a nice feature on a car. That doesn’t mean that you can’t have LED bulbs at all, you just have to find the right set of bulbs to work in that role. We found that the JDM ASTAR Extremely Bright 50W High Power LED Bulbs are the absolute best daytime running light bulb (DRL). These bulbs each sport 10 LED chips, giving you a maximum output of 50 watts per bulb. One of the nice things of these bulbs is that in addition to use as running lights, they are also the best LED fog light bulbs. They put out light at 6000K for that sharp pure light that can really light up the road for you. The set is said to put out 1200 lumens of light, so you know that you will be able to see whatever you shine that on rather clearly. Installation is a breeze as these are set up to go in as a plug and play option. At night you want to know people will see your brake lights when you stop. However, the problem with most setups is that they put a bulb that is putting out white light behind a red piece of plastic. This means that only some of the light is making it out through the plastic to be seen, so no matter how bright a bulb you put in, you won’t get that much light out. The Alla Lighting 39-SMD High Power 2835 Chipsets Red LED Bulbs for Brake Tail Light put out red light so that all of the light is set to make it through to the drivers behind you. This is an easy choice for the best brake tail light bulb. But the company didn’t just stay with RED, they have put out a yellow and white option as well that does an excellent job cutting through the fog and other weather making them a contender for the best LED fog lights bulbs on the market today. As a note, these bulbs are just compatible with the standard style socket, but they won’t work with the CK style socket. Each of the two bulbs sports a stunning 39 LED chips to illuminate 360 degrees around the bulb, so there is no worry that installing it will block a chunk of the light that they put out. What is LED Lighting? How Does it Work? On a very basic level LED lights are not much different than normal lights. Standing for Light Emitting Diode, a LED light provides a light from running electricity to a system. They start differing from other styles of the light bulb from here though. First off, they are considered a solid state light bulb, meaning that they are very durable, you don’t have to worry about breaking a tiny filament and losing your light. Also, they don’t always make white light, they make a single color of light. This lets you use them in various colored settings easily. One thing that you will need to keep in mind is how to compare your light bulbs to make sure that you get the whole story. It used to be that a bulb was marked based on its wattage and people viewed the wattage as an even playing field. However, that is just how much energy the bulb uses. In the case of some bulbs, most of that energy is changed into heat. For a LED they make less heat, due to using a diode instead of a filament and therefore comparing wattage won’t tell you how it stacks up. You’ll need to compare lumens, the light put off by a bulb and wattage. This will give you a better measure of how your bulbs compare. Why Get One? What are Advantages? There are a number of reasons why you would want to install LED lighting in any location that you’d like to have light. First off, they have an unrivaled energy efficiency. This means that they will draw a lot less power than most other light sources, so you can save that energy for other uses. One worry that some people will have is that if they don’t use as much energy there is no way that they can provide a good amount of light. Companies have developed high-intensity headlights which can put out more than enough light for jobs like spotlights or in our case, a car’s headlight. Another perk of going to a solid state lighting like a LED is that these are very stable lights. Some other lights rely on a tiny filament and if it gets shaken too much that filament will break and you will find yourself in the dark. With a LED light shaking is not going to stop your light source. This means that if you find yourself frequently taking a bumpy, rocky road you don’t need to fret about your lights coming on when the sun tucks below the horizon. Also, LED lights will last you for years of use, meaning that you won’t need to change out the bulbs are often. There are any number of different lights in your car. 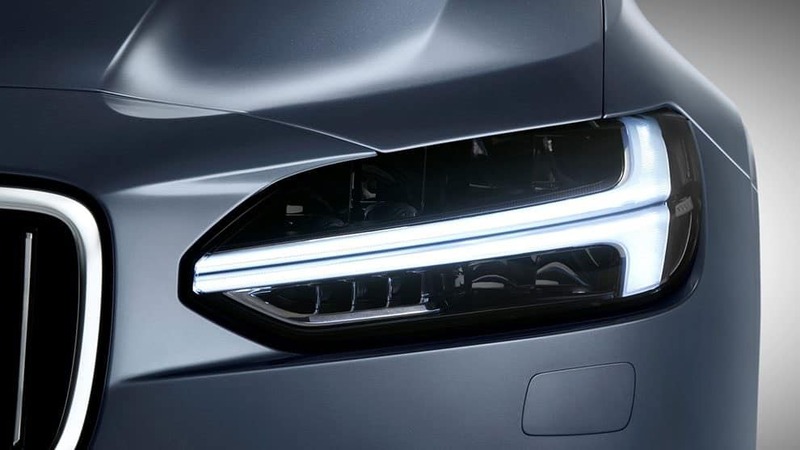 Most people will think of the headlights and those that go with them, such as daytime running lights, fog lights, brake lights, high beams and your normal low beams. However, there are interior lights as well. Any of these can be swapped to LED lighting with different levels of complication. 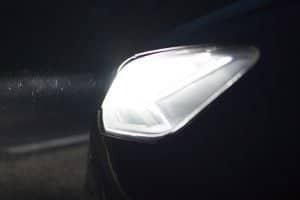 Since in many automotive cases you can’t only pull out an old bulb and plug in a LED as you might be able for your home, we’ll focus mostly on your car’s headlights. When it comes to headlights you have a few options if you are looking to change the standard bulbs. Most of them these days are some form of halogen lighting. One option making the change to HID headlights, if you are interested we have an article on the best HID headlights. 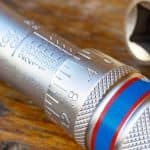 Another option is laser lighting, but today we’ll consider some of the best LED conversion kits. These kits on average will take about 30 minutes to install and can last up to 25,000 hours of usage. TIP You may also need to restore your headlights using one of our recommended headlight restoration kits. Just to get it back to crystal clear as a new one. What is Included in Conversion Kit/Set? When you order a LED conversion kit you will find that it is a rather simple set of components. The first and most obvious one is the LED bulbs themselves. As these bulbs will be plugging directly into the sockets that your old bulbs are going to be replacing you’ll want to get the same sized ones to make the process go smoother. This will ensure that your new bulbs fit securely and aren’t being bounced out of alignment when you cruise down the road. Also, you will find that your LED headlights have some variety of heat sink to them. While the lights themselves don’t produce much heat, the base of the bulb does and energy in the form of electricity passes through them. This can cause issues with wiring, so many bulbs will have a heat sink near the base of the bulb to help unload the extra thermal energy. 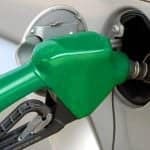 The problem is that they are usually located in your car’s engine compartment, which means that they are trying to shed heat in an area that is not usually known for being very cool to start with. Next, you will find a ballast. This is important to ensure that you add into your system and don’t merely plug the LED bulb into the old bulb’s wire. A LED uses much less power in order to produce light. Your car is set up to deliver a given amount of power to the headlights as that is what the car thinks is needed. The ballast will help to level out that power so that you aren’t overloading the bulb, as this could cause trouble and may result in a problem down the line. Lastly, you will get new wiring for the system. 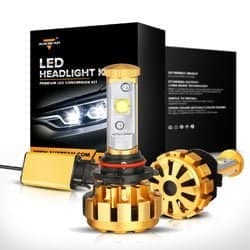 You’ll find that the wiring set up in today’s best LED headlight kit is all plug and play allowing you to quickly hook everything up without having to worry about things not being placed correctly or even having to worry about soldering wires together. Even if you decided that you are ready to swap out your stock lights for a LED kit, you still have a number of different choices to make. 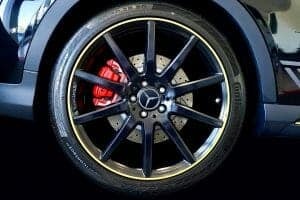 Some of them may be simple and somewhat made for you, others you’ll have a few different options in order to select the right thing for your vehicle. Let’s go through a few different points that you will want to consider before just ordering a kit. We’ll start off with a big one, but don’t worry, you don’t really have to make a choice here. Cars have different size headlights, as you are aware from swapping out your standard headlights. Luckily LED bulbs come in those same sizes.There are a number of tools online, often times when you are ordering on Amazon they will have a tool to help you find the right size bulb for your vehicle.Once you know the size your car takes you merely select the same size for a LED. 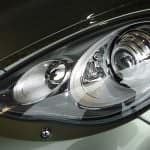 The one thing to keep in mind that if you have done modifications to your car’s headlights you might not need the standard size light for your make and model. When everyone used the same type of headlight bulb you could easily compare wattages and know that the one that had a higher wattage probably put out more light. The problem with that way of going about things is that wattage is not really about how much light the bulb puts out, it is more truly a measure of the power that the bulb will pull, but then again so is amps (discussing power is tricky).Standard bulbs end up turning most of that power into heat, but if the bulbs use the power to light and heat at the same rate you can compare wattages. Once you move into LEDs, you have a bulb that produces less heat, is more efficient and therefore draws less power. If you compare a halogen light and a LED light only by wattage you would conclude that the LED light is not as bright. The true measure of brightness is Lumens. When you compare lumens to lumens for a bulb you will get a feel for the bulb that is truly the brightest. In the world of LED lights, you can get just about any color that you care to look for. This is great if you are looking at putting lighting inside your car or a glow kit underneath and want to be able to change colors as you see fit. However, since we are focused on headlights the choices will be a touch more limited. To discuss these colors companies actually will talk about the temperature of a color on the Kelvin scale. To give you a few comparison points before we look at some color options, older incandescent lights are about 2700K. If you jump all the way up to 5000K you’ll get pure white light. In the range between 2700K and 5000K, you get various amounts of yellow in your lights whereas if you go above 5000K you’ll start getting some blue or purple in your light. At 3000K you’ll get a yellow light, while this might not make a great headlight it is a wonderful choice for a fog light. 3600K is the temperature for most stock Halogen lights and average stock HID lights come in at 4300K.While you are often able to what color you feel best with, there are a few recommendations. For starters, normal sunlight is somewhere between 5000K and 6000K. Humans have developed to see that swath of light better than others, so picking a headlight in that range will give you the best usable amount of light. If you are going for a fog light staying in the neighborhood of 3000K will get you a light that many say cuts through fog and weather conditions better than other temperatures. One thing to keep in mind is that while a halogen or HID lights are omnidirectional. They emit light from pretty much the whole glass part of the bulb. LED lights however only put out lights from the LED Chip. This means that you will need to be concerned with where those chips are and how they are positioned. Some bulbs will have chips all over and others will only have a few. Quality and Warranty – Not Just the Price That Counts! A light bulb is a light bulb, it has a lifespan and eventually, that will end. However, if the lift span of a given bulb is 25,000 hours and the bulb dies after 100 hours, something has gone wrong. When this happens, you’ll want the company that made the bulb to pay for the replacement, and that is a possibility based on what bulbs you get. When you only compare price for bulbs you’ll end up with the cheapest possible option. But in this case, when something goes wrong, you are on the hook to shell out to fix it. The sad truth is that often times those cheap options have cut some corners in the process in order to offer a cheaper bulb while still making a profit. When you look at some of the best LED bulbs for cars that cost a little bit more you’ll find that the quality will improve. A sign that the bulbs have a good level of quality is when they come with a warranty. This shows you the company believes in what they sell and are willing to fix problems that are their fault. One thing to remember though is that most warranties are written to address manufacturer defects, but not necessarily user error. Be sure to read the fine print and handle your system correctly. If you have opened your car’s hood, know where the headlights are and can plug something in you should not have any issues with this installation. Remember: When working on electric system ALWAYS disconnect your car battery first. Some basic tools – like screwdrivers and wrenches – may also be needed. The first step is to go through your particular kit and look over any specific instructions. Then you are going to want to remove the old bulbs from your car. If these are still working don’t just throw them out. If something goes wrong you’ll be able to swap these bulbs back in and ensure that you have headlights while you work out your situation. Place your new LED bulbs in the sockets and secure them. Next is time to connect your ballasts to the bulbs and then to the power. You’ll want to fire them up and both check that they work and see how high they are set. Most bulbs have some adjustment screws and this can be the difference between shining intense light at the road and the faces of oncoming traffic. You might want to swap out just one side first so you can balance your lights to match that of your old headlights. There are a few pointers that you should be aware of when dealing with your new headlight system. First off whenever you are working with headlights you want to do your best to not touch the glass of the bulbs. The oils from your skin can cause weak points in the glass that can cause the bulb to break there. This goes for any headlight type you are working with, Halogen, LED or HID. You’ll also want to ensure that your ballast is secured before you take off to give your new bulbs a test run. If you don’t do this your plugs could come undone, meaning your lights won’t come on when needed or you could end up damaging the wires that could create a possible fire hazard in your engine compartment. Lastly, some LEDs have a heatsink to deal with the extra power. These can get fairly hot when the bulb is in use. You’ll want to ensure that they are placed in such a way that they don’t interfere with other components or cause damage to anything else if it gets too warm. Halogen, HID or LED, What is the Difference? Halogen lights are the most common auto headlight and most likely what is currently on your car. These have a filament to provide light. While they provide a good amount of light they aren’t necessarily stunning. A HID system has fewer parts, which leads to a much longer usable lifespan for the bulb. The system also is more efficient, meaning that it uses less power, produces less heat and ends up giving you more light on the road. A LED is a solid-state system, with no moving parts to break it is the least fragile choice. It doesn’t put out as much light as a HID option, but it can last longer and is even more efficient, so you’ll save power even over a HID system. Why are LED Lights Considered More Durable? 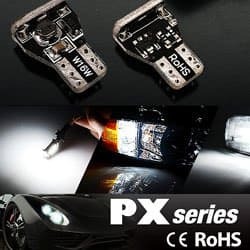 Oftentimes people will tell you that LED lights are more durable and therefore a better choice for vehicles that take on bumpy roads or go off-roading with regularity. The difference is that other bulbs have a thin filament wire and if it breaks you don’t get any light out of it. LED lights are considered solid state, they have no moving parts and no filament to break. They produce light from a chip, so while they won’t handle impacts, they can be shaken as much as you feel like and are generally considered to be shock proof. Which Color LED Should I Get? This question depends a lot on what you are planning on doing with the bulb. For a headlight usage getting one that is between 5000K and 6000K will provide the most usable light for you to see with. Fog lights do better are they are more yellow, so around 3000K might be a better choice. If you are using them for a turn light or tail light it is better to pick a LED that matches the covering (yellow for turn signal, red for tail light) so that all the light the LED puts off with going through the housing. Will LED Lights Really Outlast Other Bulbs? Yes, since they draw much less power and are solid state devices LEDs will last a lot longer than any other normal bulb type under normal usage. To give you an idea, halogen lights are the standard for most cars today, they are designed to run for about 1,000 hours of usage. A step up from them is a HID headlight, which will normally last around 3,000 to 5,000 hours. Various LED bulbs have a lifespan that ranges from 25,000 hours to 50,000 hours. What is the Downside to a LED Headlight? The main downside is getting flashed. As most cars on the road have halogen lights, most drivers are used to what halogen lights look like when they come down the road. LED lights tend to be brighter and more distinct, so people will assume that you have your high beams on. Naturally, people will flash their high beams to let you know they think you should go back to low beams since they are rather bright to oncoming drivers. If you swap to LED headlights be sure to aim them properly so you are lighting the road and not blinding oncoming traffic. Where is the Top Place to Purchase Your LED Bulbs? At this point, you know some of the best LED headlights and the best LED bulbs for cars as we have highlighted some great picks. You’ve also gone through the buyer’s guide and have no doubt considered your particular situation and the various needs and particular uses that you will want a new headlight system to consider. At this point, you probably already know what you’d like to purchase and that leaves you with a simple question. Where should you buy your new bulbs? There are a number of different options, while it uses to be that you had to head down to the local auto parts store and could pick from what they had stocked, with the internet you have a selection from all over the world. If you live in a bigger town you might have a number of different stores and make sure you get the best deal could mean going from store to store and comparing, if they even had the ones that you really wanted. With websites, you can do all that checking from the comfort of your own home. And since you are already using the web to help pick your choice and see who has the best deal you’ll need to select a website to order from. With a world of choice comes to a world of choice, some sites might claim to have really low prices, but you don’t know how legitimate they are. 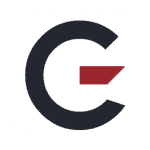 The upside of going with a known site, like Amazon, is that you have the familiarity with them to know they will get you what you paid for and they have enough power behind them that if something goes wrong in your shipment they will make it better. LED lights are quick and easy to install in your car, sometimes taking only a minor amount of time longer than replacing stock halogen lights. Since they are so easy you might forget about the heat sink located on the bottom of the bulb. However, since that area can heat up you’ll want to make sure you take a moment to do a double check that nothing is going to be affected by the heat sink. The last thing you’d want to do is mess up a wire while merely running your headlights. With all of that info, you should be able to deck out your car with the best LED headlights and the best LED bulbs. You’ll no doubt find that the switch from halogen to LED will result in a good chunk more light and also you’ll end up pulling less power to make it happen. In the article, we have gone through the basics of what you should know when you are in the market to swap out your standard bulbs for LED options. We have also highlighted a number of choices in case you are looking to change out your headlights, the short story being that if you just want the best, go with the OPT7 Fluxbeam LED Headlight Kit. This kit gives you everything needed to be up and running with great new headlights. Also, we have highlighted a number of different bulbs that are used all over your car, so that you can have LED illumination everywhere. Lastly, we’d love to hear from you, did we miss anything? Do you have some experience with any of our picks that people should know about? If so let us know in the comments section below.